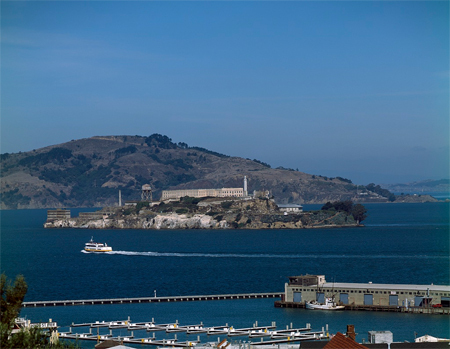 Today in History–August 11–the Library of Congress features Alcatraz Island in San Francisco Bay. On this date in 1934 a group of federal prisoners arrived at the newly opened Alcatraz Federal Penitentiary, designed as a high-security, escape-proof fortress. Before that, the island had been used to house military prisoners. Alcatraz is an English version of the Spanish name—Isla de los Alcatraces (Isle of the Pelicans)—given by Juan Manuel de Ayala following his 1775 exploration. Later, it was occupied in protest by Native Americans. Learn more by visiting the Today in History section, the click the links below to access more resources about this infamous isle.